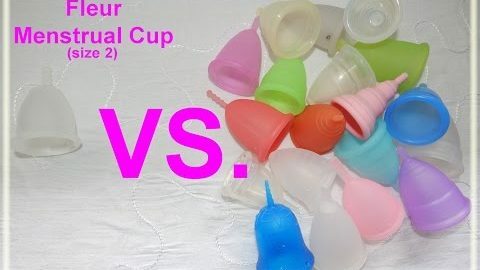 Home » Menstrual Cups » Fleurcup ® Review – Is it a Winner or Loser? 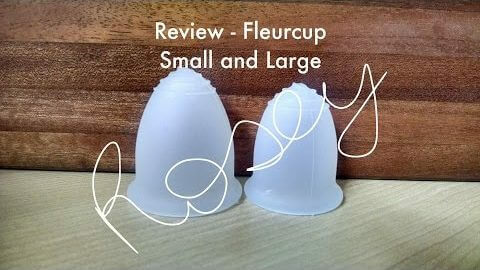 Fleurcup ® Review – Is it a Winner or Loser? Note: We're just reviewers of the Fleur Cup, we don't sell it. However, you can get the best deals by shopping on the list above. Note: Similar cup design/model can be found under the following name(s): May also be found in different colors under the name, A Zen Cup. Menstrual cups are made in every region of the world today. They provide such a sound and cost-effective alternative to women that makes being a woman more liberating. This safe, comfortable, and inexpensive alternative to menstrual pads and tampons is taking the female hygiene market by storm and now thousands of women have hopped on the menstrual cup bandwagon. The Fleurcup features a basic round cup, with a flat stem with maximum softness, flexibility – yet firmness exactly where you need it to be. Though some women have found their favorite cup, others are still seeking “the one” that really beat all for them. The Fleurcup, menstrual cup could be just the cup that you have been seeking the market for. 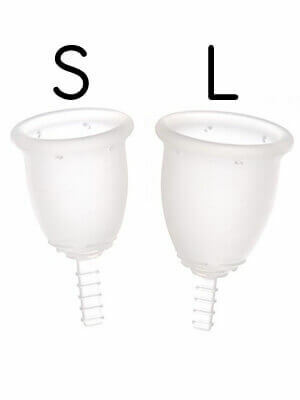 Small– The small size in the Fleurcup menstrual cup is recommended to young women that are of teenage age or below the age of 30 who experience a light flow and that have never given birth before. 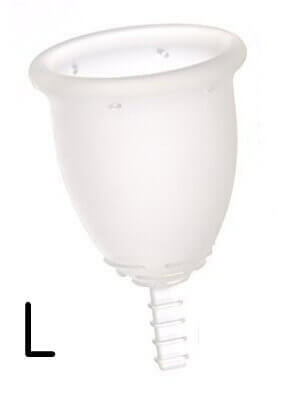 Large– The large Fleurcup menstrual cup is recommended to women who are more mature, are adult over the age of 25, that have given birth vaginally previously, and that experience a medium to heavy flow. The Fleurcup is available in a clear/translucent hue & pale pink, purple, orange/red, blue, green, and black. The Fleurcup, menstrual cup is sold in single form, in double packs, packs of 5, packs of 10, packs of 20, packs of 50, packs of 100, packs of 200, and packs of 400. Each purchase comes with a set of instructions, the count of menstrual cups you have considered (in size choices offered), and a carrying pouch. *The stem of the Fleurcup can be trimmed down to a shorter length to help accommodate more comfortable fit. 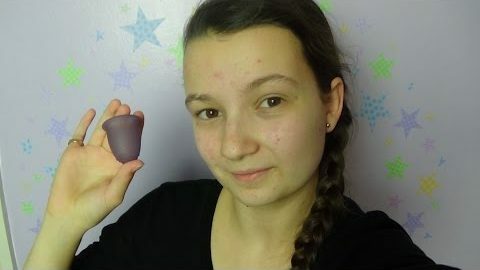 The Fleurcup has a unique design, and a round squishy cup that offers the user a great amount of features and attributes that make it a popular menstrual cup for women of all ages. 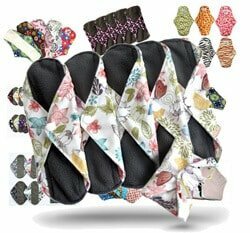 According to many rave reviews and testimonials, the Fleurcup has got the “it” and “wow” factor for many women. 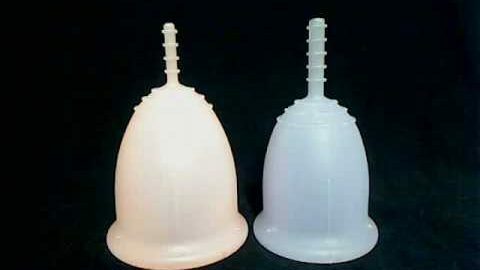 In fact a few women proclaimed it the “Holy Grail” of menstrual cups. Here are some of the best benefits that women refer to when providing their testimony of using the Fleurcup for menstrual protection. Provides fool-proof unprecedented leak protection – Women who have purchased or reviewed the Fleurcup menstrual cup testify strongly that this cup provides unprecedented leak protection. It has a holding capacity that is remarkable, and if there is one thing a woman looks for in a menstrual cup- it is that it does not leak! Really easy to clean and use, comfortable to wear – The Fleurcup features nice holes in the rim, and consists of a smooth finish that makes it very easy to clean. Not only is it a breeze to clean- but the curved design of the bell of the cup makes it most comfortable to wear. Great quality product for the price – The price of the Fleurcup seems to bring buyers right in. It lasts for up to 10 years and the investment into the highly mentioned overall quality of this cup brand make it every bit worth it. Includes very extensive instructions for use – Many women review menstrual cups and note that many brands instructions are short and not very detailed. However, in reviews I perused the users remarked that the instructions that came with this menstrual cup are very nice. Grip rings on stem are raised – In a few of the reviews found on the Fleurcup, it was mentioned that the drip rings on the stem are more prominently raised than other cups. Some users said this was a detriment to the cup- but it did not affect them from calling it their favorite menstrual cup of all. 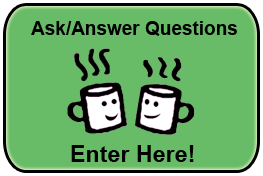 We understand that like others you may have some questions in regards to what the Fleurcup may entail with use and purchase. We have taken the time to address some of the most common questions that consumers ask when wanting to learn more about the Fleurcup, menstrual cup. 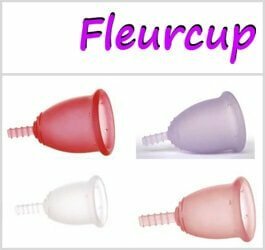 The Fleurcup menstrual cup is very easy to insert and remove. The stem is designed to be grasped and pulled easily. Also the texture of the cup makes it not very slippery so when you remove it or insert it won’t slip from your fingers. Yes. The stem of the Fleurcup is perfect for some as it is, however in other situations women prefer to trim it shorter so it does not poke out. Sure. 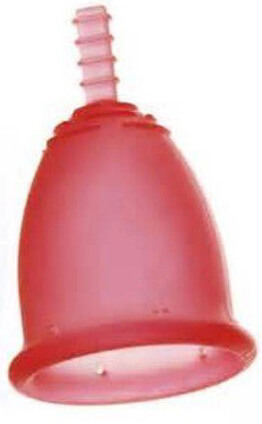 The Fleurcup can be worn up to 12 hours without needing to be emptied. Many women claim that they wear it overnight with no accidents or leaks what so ever. It’s much safer from leaks than a tampon! No. The cup should stay in place just fine during bowel movements and urination. 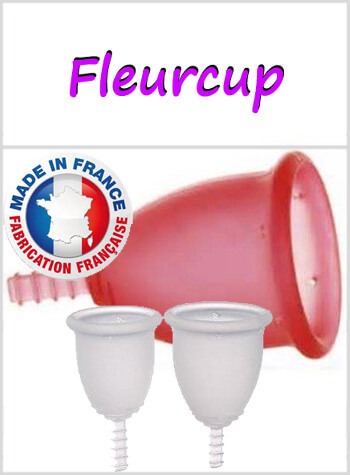 The Fleurcup should be sterilized monthly after each term of use. You can do this by boiling it on the stove or microwaving it in a safe dish. 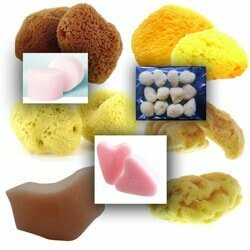 You can wash your Fleurcup after emptying it with use, by rinsing it with warm water and washing it gently with a non-abrasive soap. No. The Fleurcup should not be worn during the act of coitus. It is not a preventative measure for STDs and should not be used as a contraceptive method. No. Most women escape the dryness caused by absorbent tampons by using the cleaner and healthier, menstrual cup alternative. The Fleurcup is perfectly safe silicone that has been extensively tested and proven not to cause any vaginal irritation or infections. The makers of Fleurcup offer a money back refund in the circumstances that someone is unhappy with the Fleurcup or if it is damaged within the first 30 days after purchase. The Fleurcup is perfectly suited for anyone that leads a very physical lifestyle. It moves with you- while giving you ultimate protection from leaks. No. the Fleurcup collects rather than absorbs. 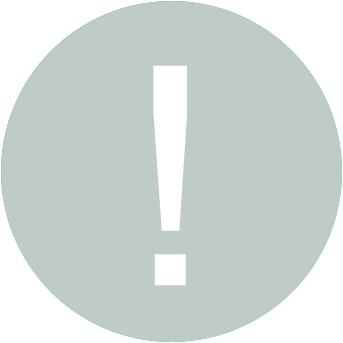 There has been no reports of anyone experiencing TSS by using the Fleurcup, menstrual cup. It is safer than tampons! 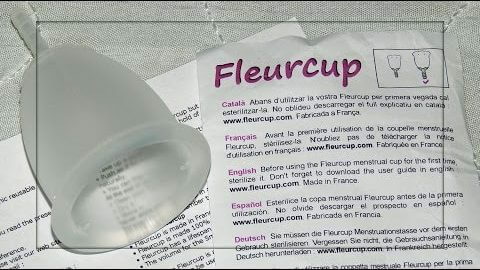 Fleurcup was first introduced in France in 2009. 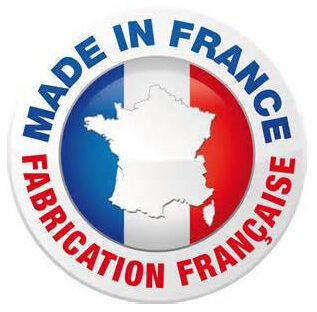 It is manufactured in France and distributed throughout the seams of the globe. The Fluercup is a trusted menstrual cup brand that is exceeded with value and a substantial reputation for the company that produces it is accredited on a multitude of levels. This superior brand of menstrual cup is produced with a risk-free guarantee that includes a refund for a damaged cup or unsatisfactory experience. 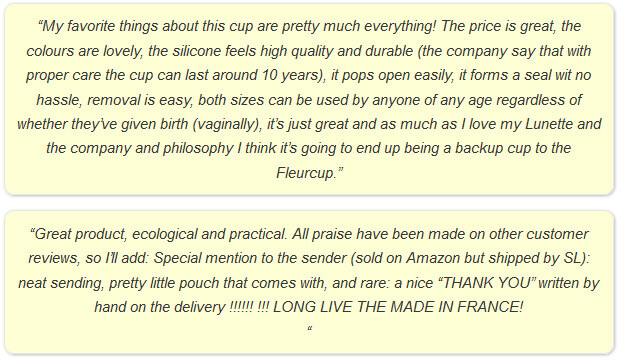 The Fleurcup menstrual cup made in France, is a delight according to many perfect reviews and testimonies. It features the characteristics that most women look for in their “Goldilocks” cup. The stem is easy to trim and can be altered, the colors are a nice option from bright hues to light shades, and the overall design and quality of this cup is superb. If you are looking for a basic menstrual cup with a supple capacity that has a reputation for working for most women- then you may want to try the Fleurcup on for size! Fleurcup – Where to Buy? The Fleurcup is offered by online and offline retailers all over the world. We have listed a few of the notable trusted online retailers that can provide you with the best deal and options when purchasing the Fleurcup, menstrual cup (on the top of this page). This cup was suggested to me on a cup quiz and although I had a cup that I loved, I got a really good price for a brand new cup that someone purchased the wrong size in error and couldn’t return it. This cup is nice soft silicone and even when buying brand new it is cheaper than other quality cups. I like the shape of the cup and it is very comfortable once its in. It can wear it for 12 hours at a time but I don’t have a heavy flow and can wear any cup for 12 hours. I wish this cup would open easier though. I’m an experienced cup user who has used even softer cups (super jennie, si bell) and for some reason, this cup is very hard for me to get open. When it does open I love the cup, but I feel like I have trouble with it more often than not. Pros: It’s easy to be removed and not likely to leak. The price is relatively low compared to other brands. Cons: The stem is too long and needs to be cut. It is also quite thick so there is a possibility that you will feel its presence even after you have trimmed it. + PROS: easy to be removed. not likely to leak. price is relatively low compared to other brands. - CONS: The stem is too long and needs to be cut. It is also quite thick so there is a possibility that you will feel its presence even after you have trimmed it. I have other four brands of cups but it’s my favorite and was the cheapest one, is easy to insert and remove, I had to cut the stem, so the ridges on the base help me to remove the cup and t never leaks. + PROS: It’s a good cup very comfortable. I’ve been using it since July of last year. It’s April, now. I like the Fleurcup, especially for the price. It is a pretty comfortable cup and seems to hold a lot. However, I did have some slight leaking this time around, but it was barely anything. I’m thinking it had more to do with blood already being past where the cup was in my body. It’s kind of surprising, though, because I started wearing it at the start of my period. It started leaking for me at either day 3 or 4. I think I’ve had this problem the first couple times I’ve used it, too. I’ve been using it since last year. Insertion and removal are a piece of cake. My biggest issue with it is how thick and pronounced the ridges are at the base. They are a feature I really don’t need, but they kind of tear my skin up, especially if I bare down for whatever reason. I can’t imagine what it would be like if I kept the stem all the way intact. I definitely cannot go back to using pads and/or tampons. 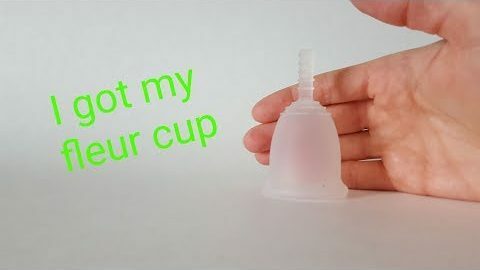 The menstrual cup is definitely way better than anything I’ve ever used for my period. That’s why I’m continuing to search for the perfect cup for me. This cup is great, but it’s definitely not the perfect one for me. I will keep using it, however. + PROS: -Pretty comfortable, besides the ridges at the base. -Cheap -Long stem with thick grips that I imagine would be easy to grab for those that need it. For me, I trimmed it off completely. - CONS: -The ridges on the base have caused me pain and tend to end up tearing at my skin. -Some minor leaking but nothing too major. -Mine did *not* come with the carrying pouch, and I've heard other people say that, too. This isn't too big of a problem, but I'm not sure what I'd do if I didn't already have something handy to keep it in. -The holes seem to be getting a bit discolored. That's not a big deal, but I kind of wish I got it in a different color than white. 3. The grips are really noticeable to the touch so it’s great when you remove it, don’t worry once its inside you, you don’t feel them. 4. The silicone feels nice, kinda peachy fuzzy but not an issue. Actually, it’s better for removing it too, it’s not slipery at all. 5. Personally, I feel like it doesn’t move at all. I’ve heard some people who felt like they “lost” them inside them and that happened to me with the compact one. Not with this baby. - CONS: 1. No pouch. It isn't really a con. 2. Long stem. Also not really a con. I have used this cup for many years now and it is a life changer! Easy to insert and remove (but was a bit tricky the first few times). I did not cut the stem on mine. It unfolds fine. It leaks occasionally but I wear a washable cloth so it’s no big deal. I have only used one other cup brand because they offer a collapsible cup, which sounds very convenient. Turns out it is very difficult to remove so I definitely prefer my fleurcup. Great quality and the price was reasonable. I really like the design and it has a good capacity. 12 hours use is great. It’s a good combination of not too stiff silicon but with enough to open up again easily once inserted with a punch down fold. I like the feel of the peach skin material and the raised ridges on the stem makes it easier to grip and remove. A downside was fewer websites seemed to stock fleurcups when I was looking for one and usually not in all the colours. I ended up buying one direct from the company in France. The English translation on their own site is a little basic but the actual cup and info on use were great and it was well wrapped. Once you’ve bought one from them I occasionally get money off offers for further purchases. Very pleased with quality, comfort and ease of use. At first it didn’t open right away, but I found just letting it settle by itself worked versus fooling around with it manually. No leaks at all!! 12 Hours of comfort! Easy to clean and remove (and insert, once I learned how). No storage bag but I can deal without one. For the price (half lunette), I am very happy and will continue to go disposible free from now forward.